When I realized that our stepfamily didn’t gel like magic, I dove into research. If I was going to give my stepchildren the help they needed, I first needed to help myself. I looked for a reliable resource on stepparenting after the death of a parent. To my surprise, I couldn’t find one. I can still picture myself sitting on the floor of a beloved indie bookstore in Denver, Colorado, surrounded by various self-help paperbacks. Most of the books I found were devoted to stepparenting through a divorce; many were written specifically about how to get along with the ex-wife. But no book addressed the tough and inexplicable moments when grief re-surfaces all at once, or even how to recognize this phenomenon. What should I do when the panicked look in my stepdaughter’s eyes tells me I can’t wash that tightly clutched scarf that belonged to her mom? How can I address my embarrassment and frustration when my stepson cries because I didn’t serve the butter sandwich open-faced, like Mom did? I found some great books about grief education and stories about how children grieve, but not books about how to manage grief while building stepfamily relationships. I finally found two books about stepparenting that had one chapter each devoted to stepparenting when the former spouse has died. I took what treasures I could find, but two chapters didn’t seem like enough. I began to think about the number of tips, insights, and observations that could fill a book about stepparenting through a child’s grief. My lack of education about grieving stepfamilies reminds me of the irony that we don’t know what we don’t know. The good news is that we can learn what we don’t know. Once I began reading and talking with counselors and with other stepfamilies, I felt more equipped to try new ways to build relationships with my stepkids. 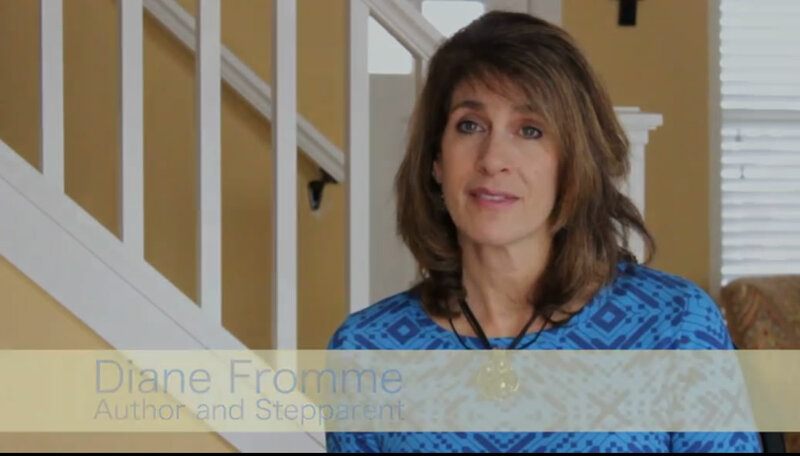 I accepted confusion as part of stepfamily life, and I ramped back up to viewing stepfamily relationships with more confidence. This process led me to wonder, “Could my experience assist others searching for ways to connect more deeply with their grieving stepchildren?” I decided the answer was yes. 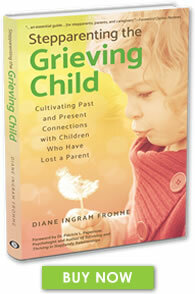 I could create a companion guide for those stepparenting through grief, or for those supporting grieving stepfamilies. Many individuals touch the lives of grieving children, and in the spirit of the phrase, “It takes a village,” many can help a child not only grieve but also thrive. The primary unit of care remains the natural (surviving) parent, if involved, along with whomever is in the role of the stepparent—usually the spouse or spouse-to-be. When the natural parent is unavailable for primary care, godparents, grandparents, or other relatives can fill the stepparenting role. Any of these parties can benefit from the insights in Stepparenting the Grieving Child. Grandparents in particular may be in a position where they have inherited the care of their grandchildren and are acting in a stepparenting role. Additionally, teachers spend almost as many hours per day with a child as do the parents themselves. Teachers need strategies to help children cope with grief, as grief reactions may occur during the course of any school day. When teachers and parents are speaking the same language of support in the school-to-home connection, that commonality helps a child enjoy consistency between both worlds. School psychologists, counselors, and administrators, as well, can benefit by gaining familiarity with the needs of the grieving children in their buildings. Finally, helping professionals of multiple titles may walk grieving children through their gardens of grief as well as through everyday activities. Psychologists, pastors, coaches, and other activity leaders make up a few of the many other adults who can provide a grieving child assistance and a loving base from which to grow. 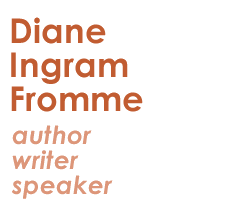 When I looked for a how-to guide, I longed for someone to talk “straight” to me about stepfamilies and grieving. Even though I was a bit afraid of discovering that I’d approached stepfamily life the “wrong” way, I had an overriding desire to do what was right for the kids and feel more secure in my role. Just as important, I wanted to balance how to take care of myself with how to provide help for my family. I grew to the point where I could at least imagine the emotions my stepchildren have felt as a result of their losses. Yet, at the same time, I recognized my own losses, which are, I believe, representative of the types of losses stepparents go through. I realized that the love in my marriage couldn’t magically make stepfamily life flow and that I needed help and direction to make sense of how to stepparent through grief. Stepparenting the Grieving Child is a guidebook to keep you growing and learning through stepfamily abundance and storms alike. When you feel your optimism waning, you can access the wisdom and inspiration you need most, offered by a longtime stepmom to two grieving children. I learned that I could learn to stepparent in a more satisfying and gentle way for myself and my family, and so can you.